Israel reconstructed Iran’s centrifuges to test the Stuxnet worm that set back Iran’s nuclear program at least five years, the NY Times reported. Israel, with cooperation from the United States, reconstructed Iran’s centrifuges in Dimona, where it tested the Stuxnet worm that has set back Iran’s nuclear program at least five years, The New York Times reported Sunday. The wildly successful virus attack has virtually achieved the same time delay as those envisioned by various scenarios of military attacks. 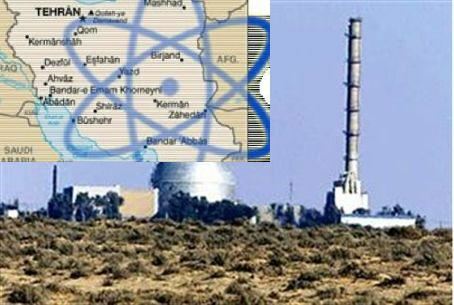 The clandestine operation at the nuclear center in southern Israel began at least two years ago and has severely affected Iran’s uranium enrichment program far more than previously reported, the article stated, based on various sources from Israel, the United States and Britain. One American intelligence expert told the Times, “To check out the worm, you have to know the machines. The reason the worm has been effective is that the Israelis tried it out.” Then-President George W. Bush gave the go-ahead for US-Israel cooperation for the project in 2008, sources said. Israel apparently obtained the centrifuges used in uranium-enriching plants in Iran and successfully tested the Stuxnet virus. The worm is the most advanced Cybernet weapon ever known. It not only knocked Iran’s spinning centrifuges out of control, it also arranged that the computer feedback to engineers showed that everything was running as normal. The success of the lethal worm appears to be far greater than previously estimated. "Israeli officials grin widely when asked about its effects,” the Times reported. Surprising statements in the past two weeks by American and Israeli officials have offered clear indications of the Israeli-American achievement. U.S. Secretary of State Hillary Clinton said that Iran’s nuclear program has been set back several years, ostensibly because of America-backed sanctions. Outgoing Mossad intelligence agency director Meir Dagan and Strategic Affairs Minister Moshe Yaalon said Iran’s technical problems at its nuclear sites have pushed back the time clock for an Iranian nuclear weapon at least until 2015. By that time, Iran’s struggling economy, marked by spiraling inflation, could undermine the regime of Iranian President Mahmoud Ahmadinejad.